API and Kadan Consultants have announced their partnership to make API’s Radian Laser Tracker series ready for distribution and metrology services to expand coverage to underserved west coast industries. As the aerospace and space exploration industries have grown, manufacturing on the west coast, particularly in Los Angeles, has exploded. Yet, the ever-increasing demand for precision engineering products and services has not been met with enough local options. API and Kadan offer a combined five decades of dedicated experience in portable laser tracker metrology. Their service technicians have expertise in industries from Aerospace and Defense to Shipbuilding and are knowledgeable in every step of the process from running laser trackers and machines to programming, setup and operations. This partnership unites API’s state-of-the-art Radian Tracker line and Kadan’s history of solution-based metrology services to bring hands-on customer service to these underserved industries. After nearly two decades of using Faro and Leica trackers, Kadan is making the switch to API. Kadan has already purchased and integrated API’s Radian Laser Trackers for service and engineering work. They are available for demonstration and distribution from Kadan and API upon request. Kadan Consultants Inc. is Minority Women Owned Small Business of 18 years in the greater Southern California area, that specializes in Precision Manufacturing and Metrology. KCI’s founder, Gary Sjoberg, was one of the original early adopters of the Laser Tracker’s introduction into Precision Aerospace Mecca that is Los Angeles. KCI primarily services the Aerospace industry, but over the years has expanded into every industry one can imagine: Mills, Automotive, Entertainment, Petroleum, Power, Testing, Rails, Marine, Hyperloops, Lumber, Transportation and even Fine Arts. For a complete list of manufacturing, measurement & engineering services available, please visit kadaninc.net. For more than 30 years API has pioneered laser-based equipment for measurement and calibration. 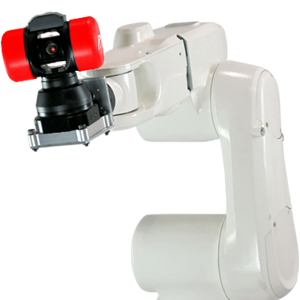 API founder and CEO, Dr. Kam Lau, invented the laser tracker while working at USA’s National Institute of Standards and Technology (NIST) to allow industrial robot accuracies to be determined. 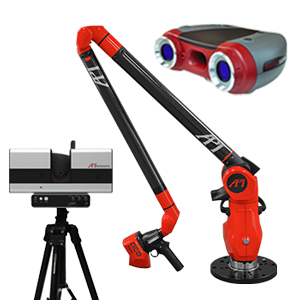 Today API is a global company with its laser trackers, machine tool and robot calibration equipment, optical sensors and coordinate measuring products continuing to be the benchmark for metrology Automation, Precision and Innovation. API measurement and calibration products are at the heart of manufacturing organizations world-wide ensuring product quality and performance. API also provides on-site dimensional inspection, metrology and calibration services. Headquartered in Rockville, Maryland USA, API has subsidiary operations in Germany, France, Brazil, China and India. For more information, please visit www.apimetrology.com.